Save up to $1000 on a new high efficiency furnace and air conditioner installation. IESO (Independent Electricity Supply Operator (IESO) formerly OPA (Ontario Power Authority) is giving customers up to $850 in the heating and cooling rebates when upgrading to a new high efficiency furnace and air conditioner. Payment Deferral: Do not pay for up to 1 year! Deferral payment available from 90 days up to 1 year from the installation date. Selecting the right furnace and air conditioner for your home is an important decision in keeping your home warm and comfortable during the winter season. If you wish to schedule Free in Home Estimate we will send one of our highly trained consultants to your home to assist you in selecting the right and best furnace and air conditioner equipment for your needs. Our no obligation fixed price quote guarantees that there’s no surprise even if an unexpected work comes up you won’t pay a penny more. With years of experience and thousands of furnaces and air conditioners installed we’ve learned that quality and reliability of equipment matters. 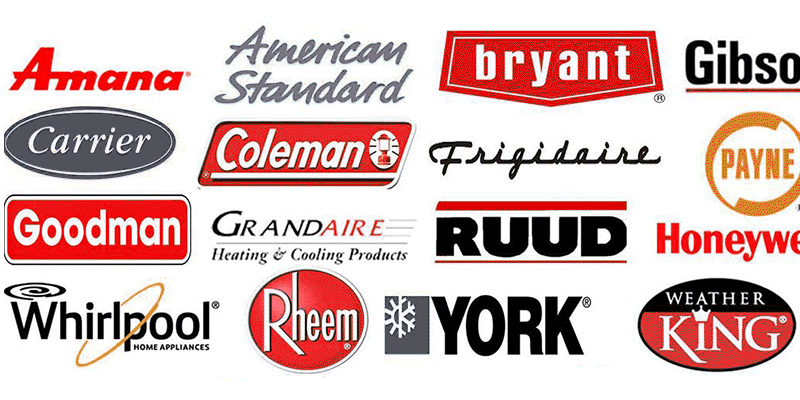 We’ve chosen to work only with leading furnaces and air conditioners manufacturers that continually invest into researching, testing and developing heating and cooling equipment. Industry leading warranties, strong safety standards and product reliability shows manufacturers commitment to its partners and customers. As the innovative manufacturer behind the world’s first walk-in cooler and the Radarange microwave oven, the Amana brand has long been an American institution. And the same commitment to quality and innovation behind Amana brand home appliances goes into Amana Heating Cooling equipment. In fact, Amana believes that the Amana brand is the standard-bearer for gas furnaces in the HVAC industry, thanks to its proprietary MillionAir® heat exchanger. And when the temperature heats up outdoors, Amana brand comfort systems are ready with a premium, high-quality line of air conditioners and heat pumps that it consider to be among the most energy-efficient in the marketplace. luxaire Heating Cooling have been recognized as top in the air conditioning and heating industry for more than half a century. Luxaire® is a premier line of high performance heating and air conditioning equipment, continually setting the standard in features and innovation. Since 1954, Luxaire has stood for uncompromising quality and unmistakable attention to detail. The latest advancements in quiet technology, energy efficiency and lasting dependability make Luxaire an intelligent choice that delivers optimal comfort and exceptional value. Our no obligation fixed price quote guarantees that there’s no surprise even if unexpected work comes up you won’t pay a penny more. Getting started is easy, call Today at 647-847-2998 or toll free at 1-855-998-2998 and have your new high efficiency air conditioner / furnace installed as soon as the next day. You can also contact us by submitting your enquiry online and one of our friendly staff will be happy to assist you.